Renting a retail space inside a shopping center has its own set of pros and cons. With an excellent exposure to high foot traffic and customers ready to buy, stores also have to compete with each other. This makes your storefront display so significant in attracting potential customers and keeping repeat ones. Differentiating yourself with vibrant, eye-catching graphics to really make your space stand out is so important. Decorative window film offers the right solution at an incredible price point for Fort Collins shopping center stores. Decorative window film offers custom printing and cutting options to really bring whatever vision you have into a reality. Perfect for brand visibility, promotions, marketing, etc., decorative window film provides so many diverse ways to grab customer attention. From predesigned decorative films to complete custom graphics, the sky is the limit! Unleash your creative side for truly captivating decorative film design. The great thing about decorative film is that it can be used for both short-term and long-term campaigns. It is easy to remove and replace by a professional window film contractor but durable enough to last for years. With UV-resistant inks available, long-term projects are more than achievable. Decorative film can be applied to smooth, nonporous surfaces with more custom options available, like exterior building wraps that can be applied to textured surfaces. 3M™ Decorative Window Film for Fort Collins Stores from Kansas City Green Window Film on Vimeo. GreenLight Window Films has created some astonishing design creations for decorative film throughout Fort Collins and the Denver metro area. Our design team is happy to help you bring your ideas to life or offer the right inspiration for your project. We’ll keep passing your working design back and forth with you until you are 100% satisfied. 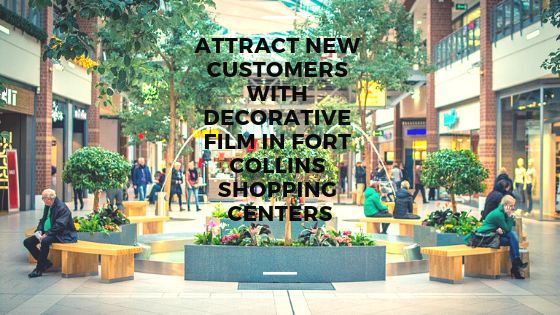 For more information regarding decorative window film for Fort Collins stores, please contact us!